And lately, the last few fictional strictly entertainment books I have attempted to read have been horrible. I can barely get started, let alone finish them. I hate not completely reading a book. The most recent being a book that I had for 6 weeks and no matter how many times I picked that book up I never did get past chapter 3. It was like pulling teeth...I just couldn’t get into it, at all. I’ve had it less than a week and already into Chapter 4. If you’ve read this book or the whole trilogy for that matter, please don’t ruin it for me...but I must say so far I’m really enjoying it. It’s about time that I find a good book. I just finished reading the secret life of bees by sue kidd and it was really good. i also really enjoyed the secret daughter by shilpi gowda and still alice by lisa genova. 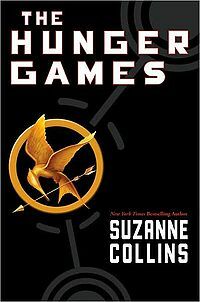 my mom had suggested the hunger games to me as well so i'm hoping to read that one soon too! if you not looking for education books but just a leisurely fictional story...I really love Karen Kingsbury> I have alot of her books that you can borrow anytime! !